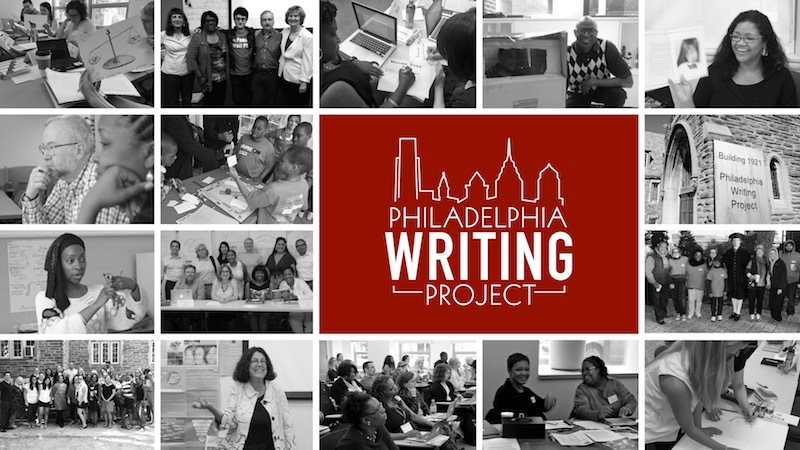 The Philadelphia Writing Project (PhilWP), located at the University of Pennsylvania Graduate School of Education, is a site of the National Writing Project. It is a growing teacher network of over 800 teacher consultants who work in a variety of ways with teachers and other educators to explore literacy, writing, teaching, and learning in their classrooms and schools regardless of grade or discipline. Find out more about PhilWP. On behalf of the Conference Committee for Teacher Research and Knowledge: A Celebration of Writing and Literacy, we thank you for attending and sharing your ideas, questions and insights! We were thrilled to have so many new people in attendance including students from George Washington Carver HS, Cristo Rey HS, Palumbo HS, and the Saint Thomas Aquinas Community Center. We certainly hope you enjoyed the conference sessions and took the opportunity to make new friends, renew old acquaintances and make contact with a range of local and national organizations to support your work in schools and classrooms. A special thanks to our sponsors Penn GSE’s Reading/Writing/Literacy Program; Urban Teaching Apprenticeship Program, Mid-Career Doctoral Program, Annenberg Center for the Performing Arts and our guest presenters, featured speakers and moderators. We would also like to thank our resource table providers the Scholastic Art and Writing Awards, the Penn Museum, the Library of Congress, and Penn GSE. The 2019 Invitational Summer Insitute will be held July 15 - July 26, 2019 at the University of PA. Learn more about the Invitational Summer Institute here and complete the online application. To download a copy of the general information flier, click here. To download a copy of the Teaching with Primary Sources flier, click here. In collaboration with Independence National Historical Park, the Philadelphia Writing Project welcomes students who desire to write, explore history, and develop digital and artistic talent. Students participate in a two-week camp where they explore the power of language in the city where our nation began. Applications are now available for the summer of 2019. Project Write will run July 23 - August 2, Tuesday-Friday, 9:00 am - 12:30 pm. Apply here. Click here to download the 2019 Project Write flier. The Philly School Media Network, a partnership between PhilWP and the Philadelphia Public School Notebook, invites middle and high school students who want to explore journalism as a way to make an impact through writing. Students who want to write for change can participate in this eight-day camp experience, which includes presentations by professional journalists and multiple opportunities for publication at PhillyCAM Studios (699 Ranstead Street). The camp for 2019 will be held July 29 - August 2, 10:30 am - 1:30 pm. Online registration is now open. Apply here. Click here for the 2019 Journalism Summer Camp flier. Students entering grades 9 to 12 are invited to enroll in a humor writing summer workshop, being held on UPenn's campus at the Van Pelt Library from July 8 to July 12. Interested students can sign up here or email mmanni@gse.upenn.edu. Click here to download the 2019 Humor Writing Summer Camp flier.